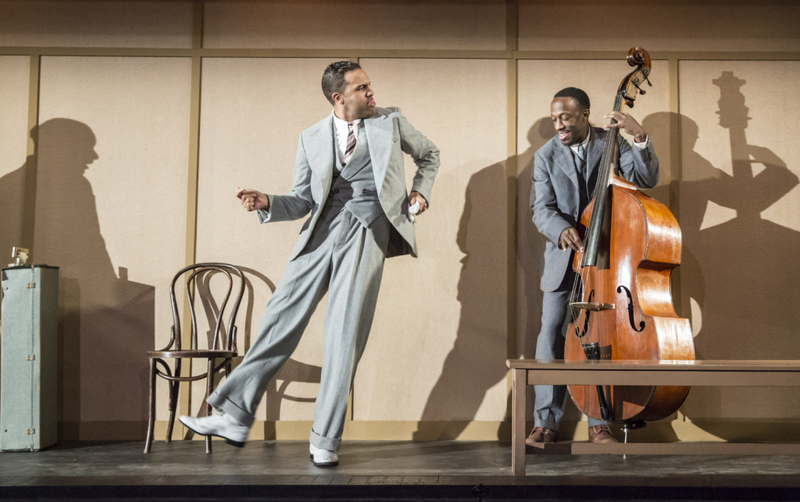 There’s a kind of irony in the National’s directorial choice for August Wilson’s Ma Rainey’s Black Bottom. The story of a recording by the `mother’ of the Blues and the struggle for black musicians to control their own music-making, it was the Broadway hit that catapulted Wilson into the limelight in 1984 and the first in its author’s decalogy tracing the history of African-Americans in the 20th century. It would have been very nice therefore if the NT – given where we now are in sensitivity to these things – could have matched Wilson’s intention in their directorial choice. And they would not have had to look very far with black-British director, Paulette Randall who directed five of Wilson’s productions for the Tricycle. Lost opportunity though that be, Dominic Cooke’s production packs a terrific punch – not least in its final moment when a woman behind me couldn’t stop herself from moaning `oh no’ in her distress at the outcome. Such is Wilson’s capacity to involve us in his characters, his dialogue seems to spring from the very sidewalk. In Ma Rainey, this is especially true with the Chicago session men brought in by the white recording company to accompany Ma Rainey. For it is the musicians, their joshing and inter-personal relationships which takes up most of the play’s first half. 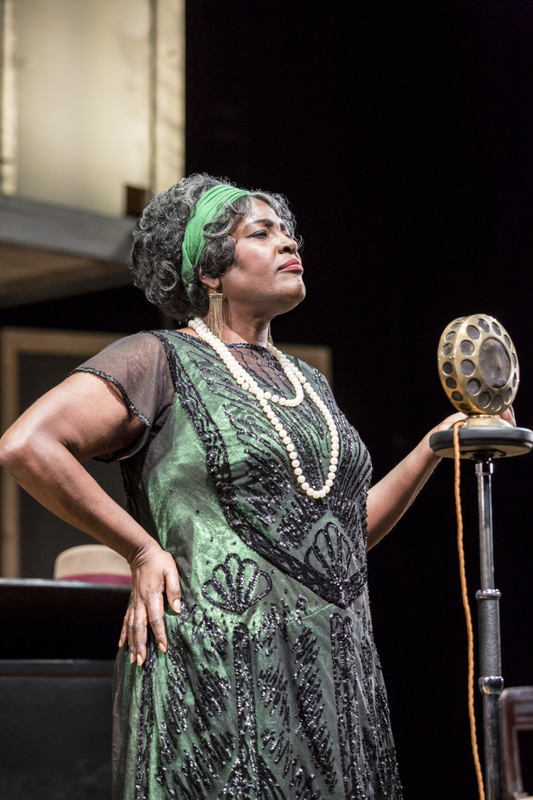 Nor do we witness Sharon D Clarke’s Ma Rainey beginning to strut her musical stuff until a good hour in. Yet, despite these structural imbalances, the play achieves a brilliant coup de theatre climaxing Wilson’s exploration of changing musical tastes controlled by white companies and the violent consequences of racism and abuse into the following generations – an issue as relevant in Britain today as when he wrote it regarding American society in the 1920s. 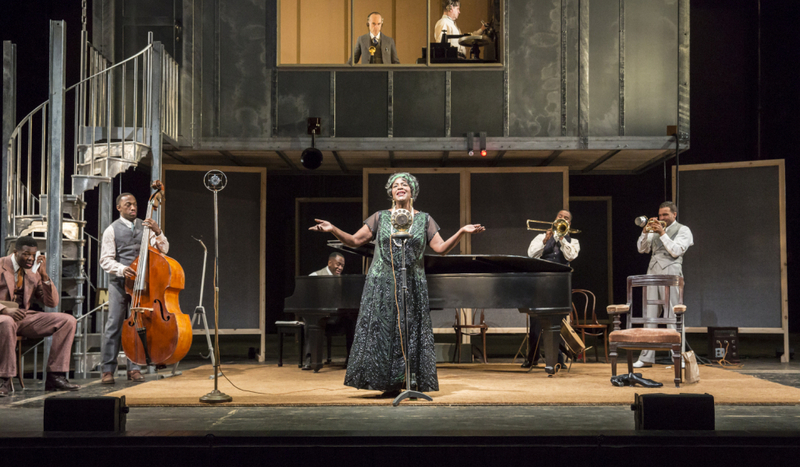 Ultz, a little bizarrely, places the musicians in a subterranean room whilst undeniably adding another dimension to the play’s sense of racial hierarchies. But the play stands and falls by its quartet of session men. And here, they are without doubt incomparable, led by the great Zimbabwean actor Lucian Msamati with O-T Fagbenle as the dangerously ambitious, dramatic catalyst, Levee. Go see, if you can. Life-changing. 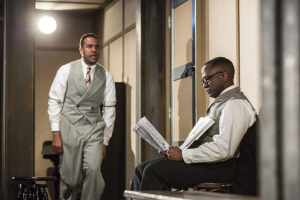 This entry was posted in 2016, Reviews and tagged August Wilson, Clint Dyer, Dominic Cooke, Giles Terera, Lucian Msamati, National Theatre, Paulette Randall, Sharon D Clarke, Ultz on February 8, 2016 by Carole Woddis.